I think it is very good Dillster. 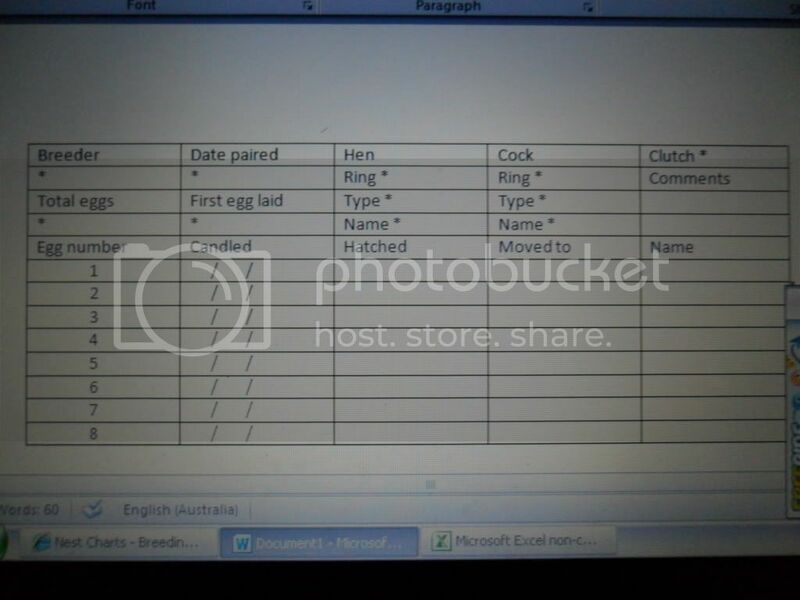 Perhaps I would add Round number, Ring number of chicks, variety of chicks and also I would leave a few extra spaces at bottom for egg number because I have had many hens lay 10-14 eggs. I might add that "date laid" is probably more useful than "date candled". Knowing when the first egg is laid can be good enough, if you assume the rest are laid every other day, but occasionally a hen varies. Sometimes there are problems when they hatch, and it can be useful to see at a glance what date the last one or two were laid, when you are trying to decide how long to keep waiting on them. What is "moved to" for? I also just remembered that I like to write down the color of the chicks eyes when it hatches. Plum ones will turn to black after a little while, so it's helpful to remember which chick it was. That could easily go in comments. But on mine, I have a space for eye color. I think he means if he had to move an egg to another pair for fostering.